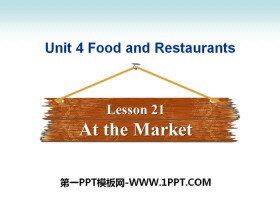 How do you celebrate（庆祝）your birthday? 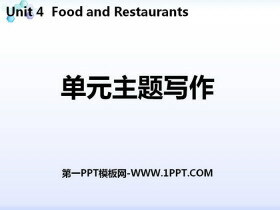 A Birthday CardPPT，第二部分内容：Listen and fill in the blanks. Jenny’s grandma is having a birthday party at her house. Jenny is making a birthday card for her. She is using _______ and crayons to make the card. She is putting a picture of her family on the front. And _______ the card her family will write something for Grandma. 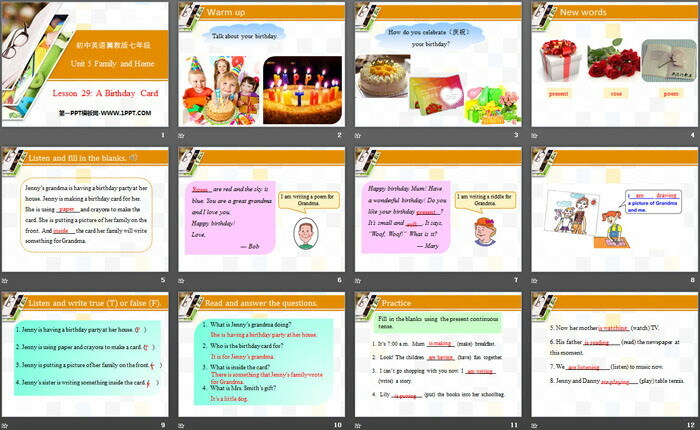 A Birthday CardPPT，第三部分内容：Read and answer the questions. 1. What is Jenny’s grandma doing? She is having a birthday party at her house. 2. Who is the birthday card for? It is for Jenny’s grandma. 3. What is inside the card? There is something that Jenny’s family wrote for Grandma. 4. What is Mrs. Smith’s gift? Fill in the blanks using the present continuous tense. 1.It’s 7:00 a.m. Mum __________ (make) breakfast. 2.Look! The children __________ (have) fun together. 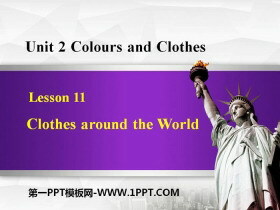 3.I can’t go shopping with you now. I ___________ (write) a story. 4.Lily ___________ (put) the books into her schoolbag. 5. Now her mother __________ (watch) TV. 6. His father ____________ (read) the newspaper at this moment. 7. We ______________ (listen) to music now. 8. Jenny and Danny ____________ (play) table tennis. When your age and the date of your birthday match, it’s called a lucky birthday. For example, Jack’s birthday is on the 15th and he is turning 15 this year. it’s his lucky birthday! 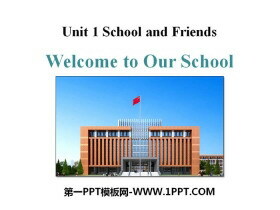 Fill in the blanks with prepositions. 1. Jenny’s grandma is having a birthday party _____ her house. 2. Jenny is making a birthday card ____ her grandma. 3. She is putting a picture _____ her family ___ the front of the card. 4. Inside the card her family will write something ____ Grandma. Make a birthday card for your friend. 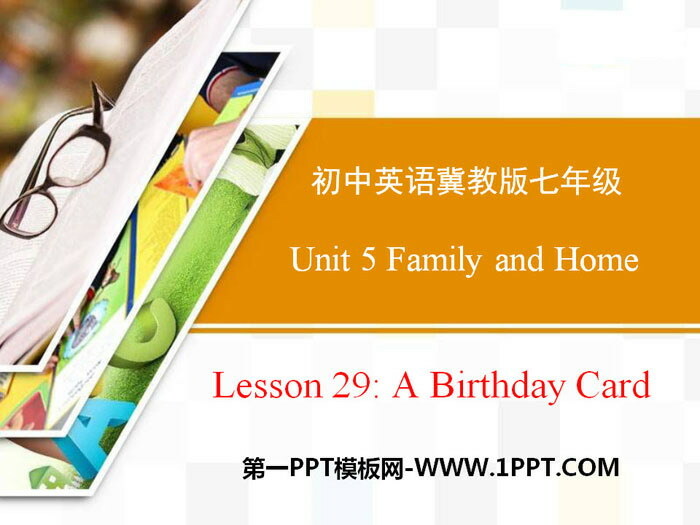 《A Birthday Card》Family and Home PPT课件 第一部分内容：教材原文 ①Jennys grandma is having a birthday party at her house. ②Jenny is making a birthday card for her. ③S..